That’s exactly what Volkswagen did with their first-in-the-world concept store. If you ever happen to visit Warsaw on your business trip, pin Volkswagen Home to your map. While the visible outcome is a beautifully designed place (inspired by the VW Arteon Gran Turismo LED lamps and grille), the effort behind the scenes is even more impressive. The architecture was a real challenge (hats off to mode:lina). But there were a few more hurdles along the road. Which is why we are so proud that Netguru was invited to take part in such an innovative project. 'It all started with a report from a global management consulting firm', says Artur Kryzan, team leader and CX manager in Volkswagen. willingness to purchase their next car from the same brand. The findings were pretty disturbing for the automotive industry. Only one in ten customers of those who rated their car as a superb but at the same time were displeased with the customer service, wanted to buy from the company again. On the other hand, as many as 25% of customers who rated their car on the lower end of the scale but were delighted with the service they received, would buy again from the same brand. The message was clear. If you put in the maximum effort to manufacture great vehicles, but underestimate customer care, your business won’t travel very far. The numbers don’t lie: the quality of service is 2.5 times more important than the car itself. The goal for Volkswagen was quite obvious: design a place where customers would be compelled by a combination of cosiness and luxury and feel almost at home. The target group was aspiring middle class (AMC). Doesn't really sound like a typical car dealership, right? A piece of cake? Not so much. Due to EU directives, car importers are not allowed to sell cars to customers directly. This meant that VW had to engage their dealership network with the new concept, gain acceptance, and win their hearts. VW’s dealerships are located mainly on the outskirts of Warsaw, which is not necessarily the most convenient place you can just drop by. VW didn’t want to build their concept car store in the very centre of the city. They wanted to avoid the high street and were seeking a place with convenient access but without glamorous surroundings. How to design a sales service that is extremely friendly and transparent to customers when there are multiple stakeholders involved (dealers)? This was the first project of its kind, and it prompted Volkswagen to change their routine. In short, the company had to break out of their silos (a usual case for a company of that scale) and bring different business units together to achieve success. For the final two parts, Volkswagen asked the Netguru team for help. We worked on Volkswagen Home for about 2 weeks total – it consisted of research, review, and 3-day workshops with the client. 'It was a project sprint unlike any other. We didn’t develop an app, design a website, neither did we do any coding. 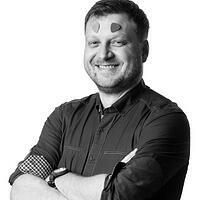 We were invited to work on a totally different task: design a customer service process for Volkswagen Home', says Kamil Puk, senior PM at Netguru. Netguru researched the automotive sales funnel and deconstructed it to see its fundamental parts. As a result, the foundations for the 'Volkswagen Home Bible' were crafted. defined the whole process of dealing with dealers – after all, they are the ones selling the cars. how to communicate and make decisions within fully remote teams. 'It was all designed to showcase how the culture and philosophy of cooperation can be used for the good of the project', adds Bartosz Białek, senior leader at Netguru design team. 'Let me put it this way: we have built a grand and impressive building. 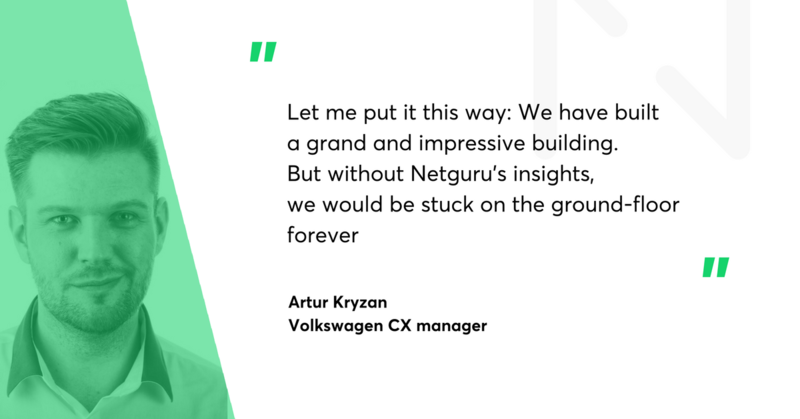 But without Netguru’s insights, we would be stuck on the ground-floor forever', Kryzan says and smiles. And then he shares numbers. They are stunning. Volkswagen Home opened on the last day of October. Without much fanfare or even an awareness campaign (the reason for that was pretty simple: the building in front of VW Home's windows will be under development until the March 2018). No wonder that VW wasn’t expecting much for a start. They must have been surprised to see what happened. The first month in, they finalised 5 deals through VW Home. December was even better – in the midst of the year-end sales, they closed 16 deals. Only two buyers were drawn in by the sales campaign. 'Our Home really proved the point. Customers love the concept, and they feel valued. The total price is still important for them, but now stays somehow in the background,' says Kryzan. One in two customers in VW Home chose a car with a much better but more expensive direct-shift gearbox (DSG). The market average is 25%. 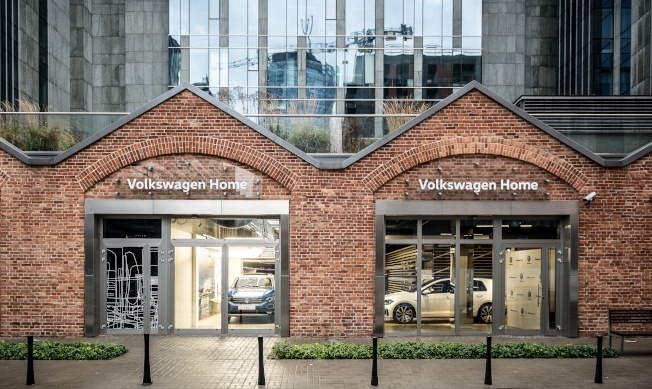 VW Home is much more than just bricks and mortar. 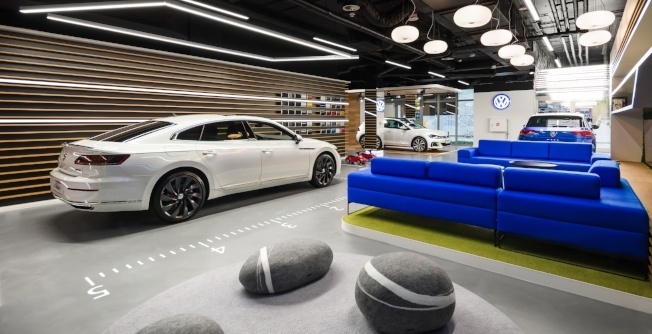 Volkswagen enhanced their boutique with a few technologies meant to improve the customer experience. For instance, customers can ask the VW Home staff to show them a car online – it will be broadcast live through an iPhone camera. It just works. 'We already sold our first T-Roc, and the buyer didn’t even touch it. Our staff just showed him what he wanted to see', Kryzan adds. VW also got the dealers on board. 'We thought that they might be a bit defensive. But the opposite turned out to be true. They adapted to the scheme surprisingly quickly', says the CX VW Manager. And they even managed to engage low-level employees to be a part of the experiment. 'We learn from VW Home each day. We definitely feel it might be the future of the car industry', Kryzan says. A recommended read: Product Design Sprint Helped Us Grow by 644% in 3 Years. How?